After being paralyzed in a rugby accident, twenty-year-old, wheelchair-bound Lenny Barnes feels he has nothing left to live for and is putting his affairs in order before committing suicide. As lively Mazey Day celebrations take place in the Cornish town of Penzance, Lenny summons a parish priest to his home. Father Barnaby Johnson is shocked to discover that he has been called in not to comfort but to deliver last rites. Lenny’s death will reverberate not only in Barnaby’s life but in the lives of his family and those around them, from Barnaby’s wife, Dorothy, to Modest Carlsson, a parishioner and former teacher whose affair with an underage student cost him his job, his marriage, and, quite possibly, his soul. Narrated in a nonlinear style from the characters’ shifting perspectives and ages, this spellbinding, exquisitely crafted novel exposes the fault lines in relationships as it limns the consequences of our actions. 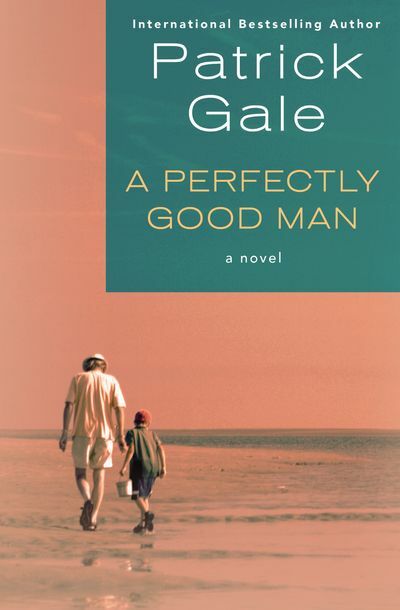 The novel that author Patrick Gale describes as “an echo chamber” to his international bestseller Notes from an Exhibition, A Perfectly Good Man reveals another family in crisis and asks what it truly means to be good. This Richard & Judy Book Club pick is a story of warmth, wisdom, and compassion on crises of faith, the power of prayer, morality, and what it means to be a parent.